Fall is definitely here! There is a chill in the air and all I want to do is bundle up and eat some comfort food. 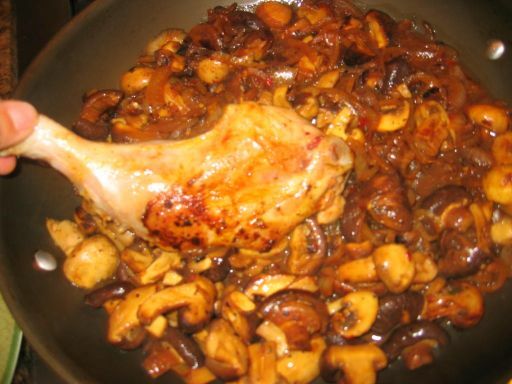 Tonight I am making a braised chicken with mushrooms and almonds sauce that is a guarantee to warm up the soul! 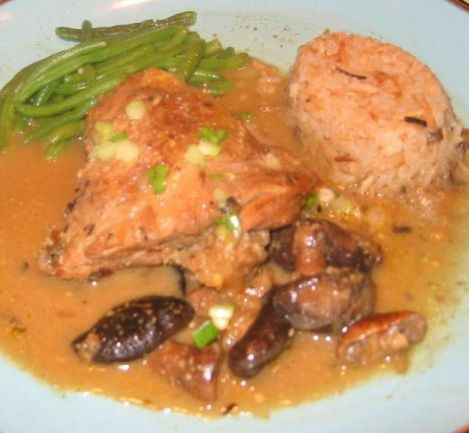 Chicken usually does not have a lot of taste but when it is slowly cooked, the meat becomes really tasty especially when it is simmered in white wine, chicken broth, mushrooms, caramelized onion and pureed almond to thicken and also to enrich the sauce. What makes this dish special is really the sauce. 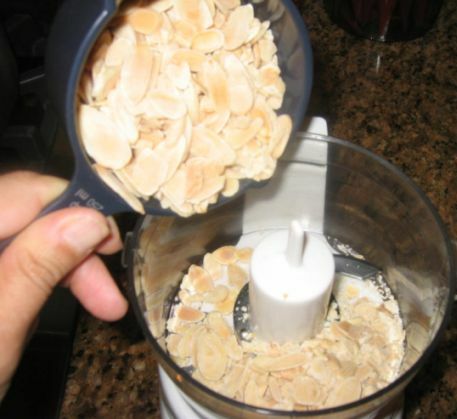 The pureed almond gives out an entirely creamy, mildly nutty, and wonderful taste.! 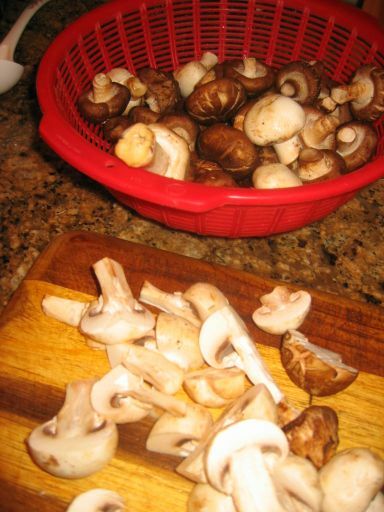 Since I love mushrooms for this dish I used fresh shitake mushrooms, button mushrooms, and cremini mushrooms. 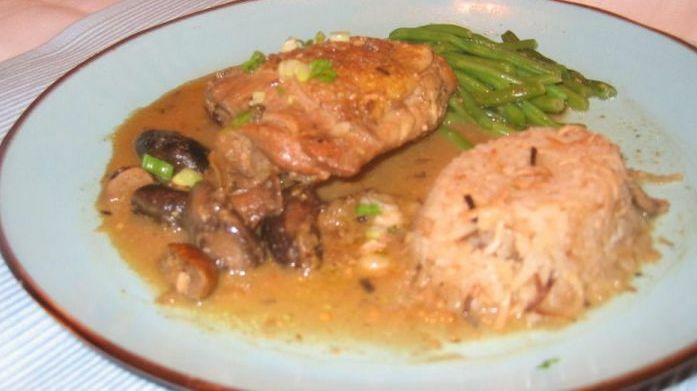 Close up of the dish. 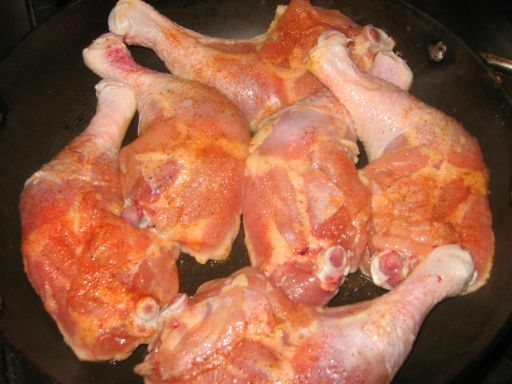 Here I am adding the chicken, skin down first, in a hot skillet and then when the chicken skin is crispy and brown I turned the chicken over until both side are brown and then the chicken is put aside. 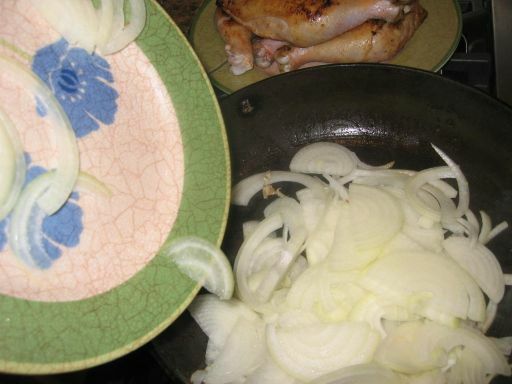 Onions are sautéed until caramelized, about 4/5 minutes. 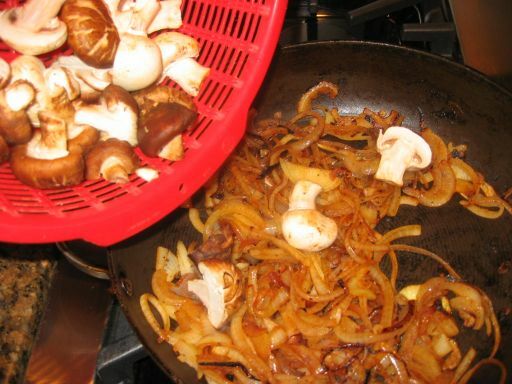 While the onions are cooking I am cutting the mushrooms into halves. 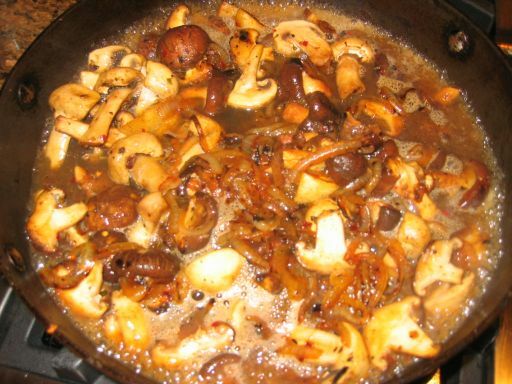 Once the onions has caramelized, the mushrooms are added and cooked until they released their juices. The wine is brought to a boil and then reduced to a simmer until the wine is reduced by at least half. 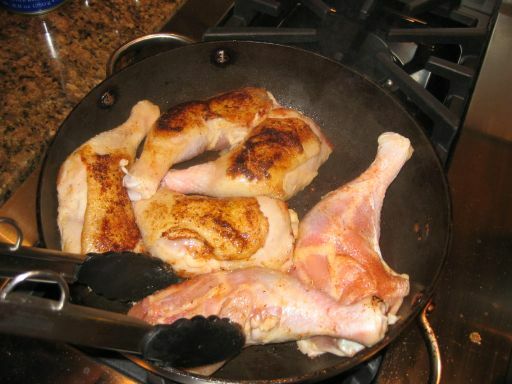 Here I am returning the Chicken in the skillet. 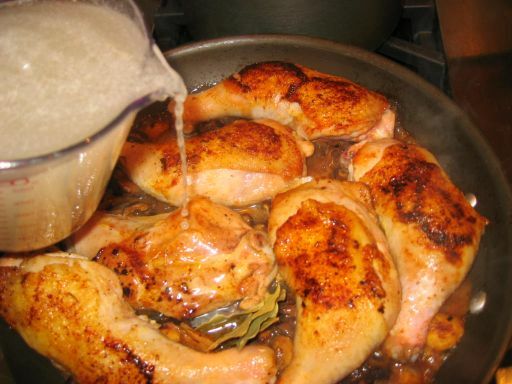 Chicken stock and bay leaves are added to the skillet. 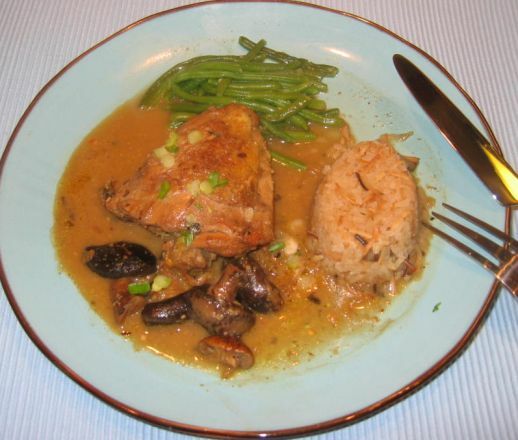 The chicken will simmer about 30 to 35 minutes in the skillet. 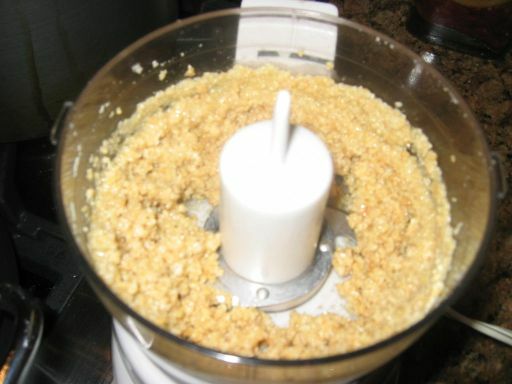 While the chicken is cooking, the almond are pureed in a food processor. 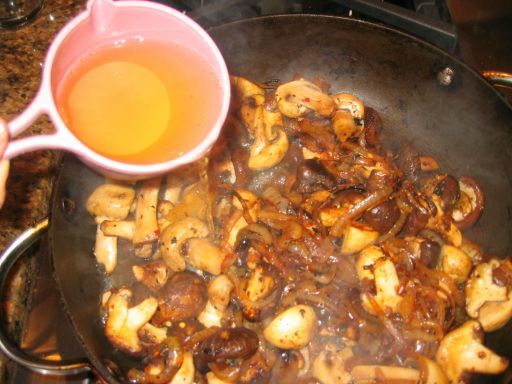 A little olive oil is drizzled in and to transform it into a loose paste, then it is seasoned with salt and pepper. 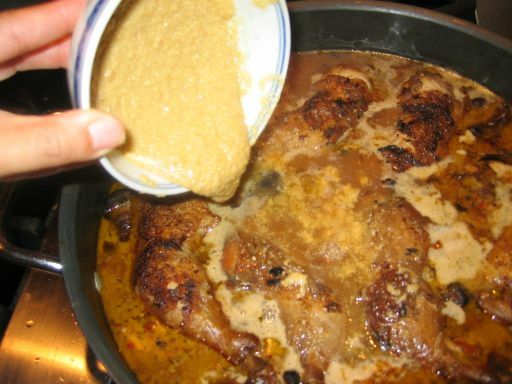 The pureed almond is stirred in and the brought to a boil until the sauce has thicken. 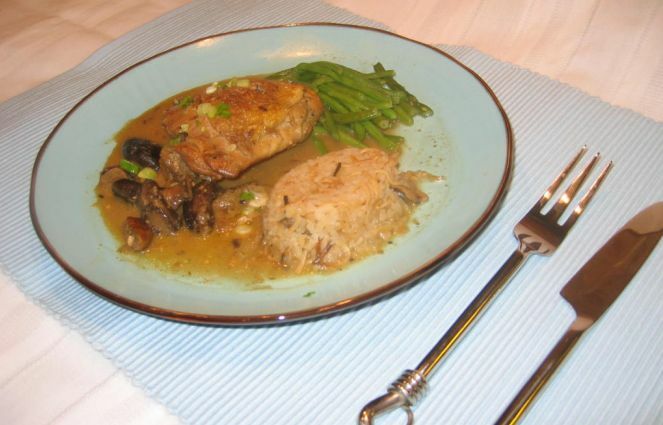 The almond puree will help thicken the sauce and to make it very rich.